Meal planning and portion size are phrases we often hear. Outside of a list of items at the grocery store and roughly estimating serving sizes, what do they mean? Recent research shows that planning affects the quantity and quality of the food we eat. In other words, it is the first line of defense when striving to make healthier choices. Planning gives us an opportunity to predetermine our portion sizes. Feeling satisfied with the amount of food we eat isn’t only physical; it’s psychological as well. When we are served large amounts of food, we eat large amounts of food; whether or not we are hungry or the meal is healthy. When meals are pre-planned, we are more likely to consume an appropriate portion size and eat more nutrient-dense foods, and less likely to contribute to food waste. Knowing how much food we are going to consume before the meal helps to guide our feelings of satiety. In fact, feeling full is so intertwined with memories that even reminding someone of a recent meal will cause him or her to eat less. 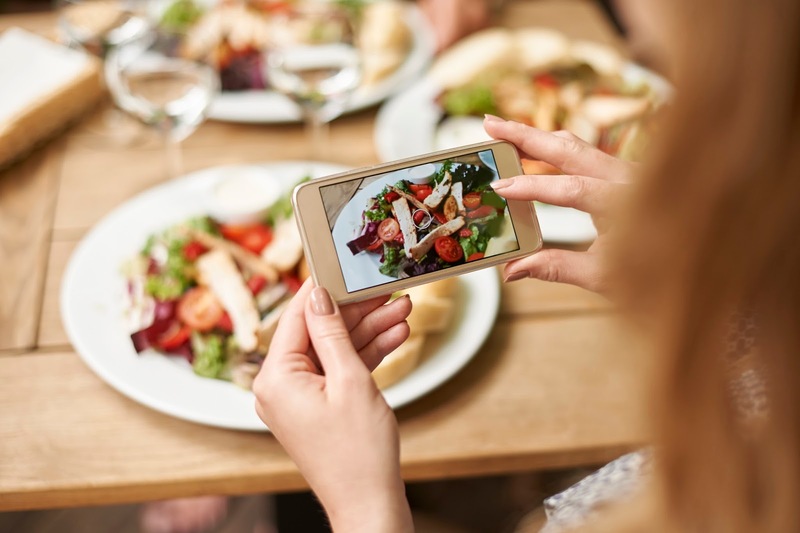 The feeling of fullness can be easily interrupted by a television show, so serving the proper portion and turning off the television are useful tools for the distracted eater. Those interrupted during a meal are more likely to feel hungry and eat more than they would have otherwise. When we break up the encoding of the memories we make while eating, it sets a size precedent for the next meal, causing subsequent meals to become larger. Memories play such a vital function in our portion sizes that two to three hours after a meal, our feelings of fullness depend on how much we remember eating, not how much we actually ate. This means it is possible to retrain your brain to feel full after a smaller meal. Stop worrying about “shrinking your stomach” and focus more on making memories of your satisfying, perfectly portioned meal. Bottom Line: Set the precedent for healthy food and portion sizes by preplanning your meals. Your mind and body will back you up. 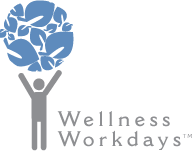 Visit Wellness Workdays for more information about our worksite wellness programs. Are you an avid label reader when it comes to food labels? You might read the nutrition or ingredient label to make sure what you’re eating is healthy for you and your family, but how about skin care products? Take a closer look at your lotions, deodorants and cosmetics to find out if what you're putting on your body is as healthy as what you’re putting in it. 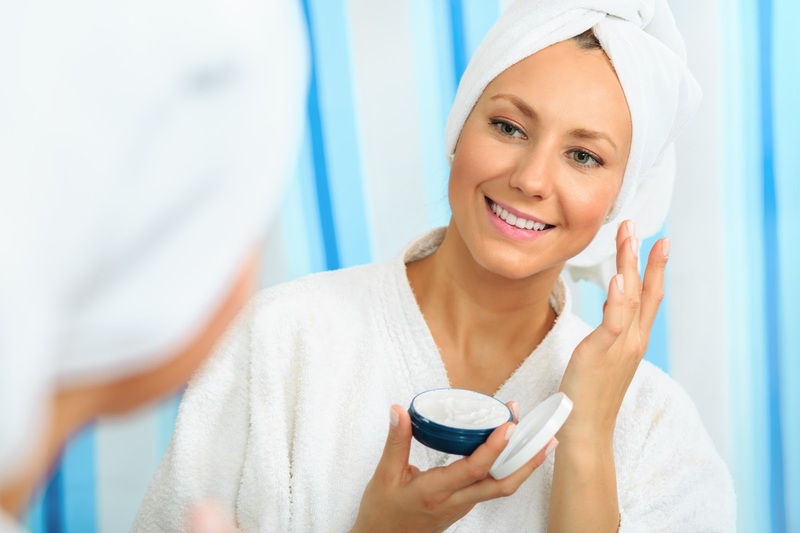 It might seem like the products we use on our skin will wash off when we bathe, but the skin, our largest organ, is porous and absorbs a large portion of what we put on it. That means that these ingredients can make their way into our blood and lymphatic system. Become a savvy ingredient reader for your beauty products -- just like you do at the grocery store. The United States has not passed a major federal law to regulate the safety of ingredients used in personal care products since 1938. The European Union, however, has placed regulations on over 1,300 chemicals for personal care products in the last twenty years. The Food and Drug Administration is a U.S. agency responsible for regulating what goes in our food and cosmetics. They allow companies to use their discretion when adding chemicals that are known to be harmful in the products that we spray on, bathe with and lather on our skin. This leaves the detective work up to the consumer. Keep in mind that just because it’s on the shelf doesn’t mean that it’s free of toxins. So, what can you do? Be an informed consumer and familiarize yourself with the chemicals, preservatives, fragrances and colors that are known to be irritants, allergens and carcinogens. Look for certified organic and natural skin care products. Preservatives, dyes, petroleum derivatives and synthetic fragrances go by many different names. A good rule of thumb is if you can’t pronounce the ingredient, avoid it. Ethylenediaminetetraacetic acid (EDTA), Isobutyl Paraben (and all parabens), Phthalatates, Triclosan and Triclocarban are just a few examples. Down to Earth and Beauty Counter are two companies that stay up to date on ingredients that don’t belong in our skin care and body care products. They make a point to offer products that you can use with confidence. You can find an extensive list of ingredients to avoid here and here. Omega-3 and omega-6 fatty acids are considered essential fatty acids. This means that although they are essential for human health, the body cannot produce them and we need to eat foods containing omega fatty acids. Omega-3s are found in fish, such as salmon, tuna and halibut, and in nut oils like flax, chia, hemp, walnut and canola. The American Heart Association recommends eating fish (particularly fatty fish such as mackerel, lake trout, herring, sardines, albacore tuna and salmon) at least two times a week. Omega-6s are found in many commonly consumed foods including shortening, meat and dairy, as well as in oils found in processed foods such as sunflower, safflower, soybean, sesame and corn. Omega-3 and omega-6 play a crucial role in brain function, as well as normal growth and development. Omega-3 also reduces inflammation and may help lower the risk of chronic diseases such as heart disease, cancer and arthritis. Omega-6 helps stimulate skin and hair growth, maintain bone health, regulate metabolism and maintain the reproductive system. The suggested healthy balance of omega-6 to omega-3 is in the range of 2:1 to 4:1. Some health advocates suggest even lower ratios. However, the typical American diet contains 14 to 25 times more omega-6s than omega-3s. 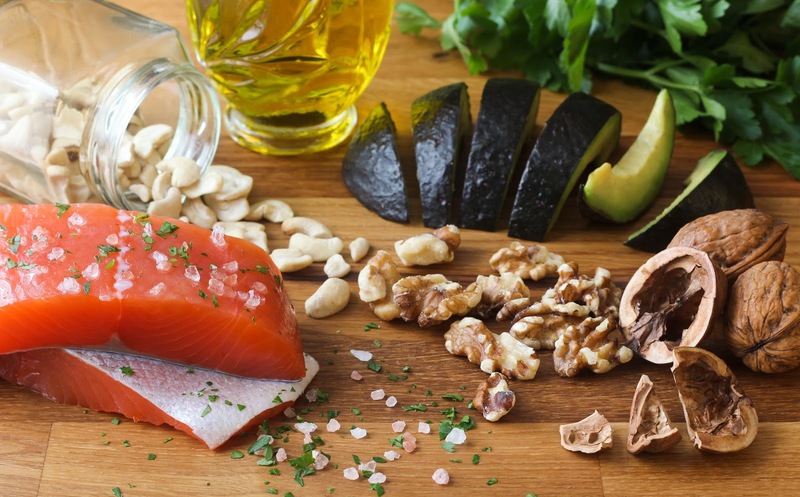 Although omega-6 is considered a healthy polyunsaturated fat, studies suggest that higher dietary omega-6 to omega-3 ratios promote inflammation and appear to be associated with chronic disease risk. The Academy of Nutrition and Dietetics recommends adults consume 0.6% to 1.2% of intake as omega-3 and 3 to10 percent of intake as omega-6. These percentages are based on total energy intake that meets the needs of the individual. So how can you increase your omega-3 intake and reduce your omega-6 intake? You can achieve this ratio by following a diet that emphasizes whole grains, fresh fruits and vegetables, fish, olive oil and garlic -- the Mediterranean diet is a great example. Studies show that people who follow a Mediterranean-style diet are less likely to develop heart disease. Choose more whole food options and try to reduce the amount of processed foods you eat. Bottom Line: Reduce your intake of foods containing saturated fat -- meat, butter, cream sauces, fried foods and trans fats (hydrogenated fats) – which are found in many processed foods and can lead to inflammation. Focus on consuming a diet rich in whole grains, fruits and vegetables, fish and healthy oils. If you are currently being treated with any medications, consult your health care provider before using omega-3 or omega-6 fatty acid supplements. Do you remember what Michael Phelps was doing minutes before his Olympic swim? He was listening to music. Athletes agree that listening to music can boost your performance and now scientists believe this as well. While music can only slightly affect your heart beat physiologically, it can dramatically affect your overall performance psychologically. Listening to upbeat music while exercising evokes a sense of euphoria and pleasure during the most grueling exercise. Associating what could be an exhausting and negative experience with a beloved workout song can completely change your perspective. Music with an upbeat tempo can serve as a distraction and positively impact our attitude towards physical fitness. Adding a little music as students walk into an aerobics class can act as a pre-class stimulus, raising the heartbeat and revving the engines of the participants. Music prepares the students for the anticipated workout, and the participants sense of fulfillment and achievement are reportedly higher with the addition of upbeat music. Whether it is an aerobics class, spin class or a run outside, music keeps us motivated. Feeling more fulfilled during your workout can lead to better attendance and make it easier to turn physical fitness into a lifelong habit. Research has shown that relaxing music can have a sedative effect on group workout sessions and decrease fitness potential; in fact, silence would be more beneficial and stimulating for a workout than slow songs. Bottom Line: The next time you are struggling to get off the couch and move, try putting together an upbeat playlist of your favorite songs. Music could make the difference when choosing to stay on the couch or getting you from the couch to a 5K. Life is demanding and our ability to meet these demands can be impaired if we are exhausted and out of shape. High intensity circuit training or HICT can provide a convenient way to maximize the benefits of exercise without expensive equipment and an extensive time commitment. The program can be performed anywhere with only an office chair or step stool for assistance, making HICT an effective way to maintain physical fitness when time and money are short. HICT is an efficient way to lose excess body fat because resistance training generates metabolic benefits that can last up to 72 hours after the workout has been completed. In other words the body burns its fuel more efficiently for up to three days and a seven-minute investment is all it takes. This seven-minute HICT workout is efficient and effective because it combines aerobic and resistance training. Depending on how intense the training is the workout can be repeated in seven-minute increments in any location. Historically, resistance and aerobic training are performed separately. While this is an effective way to maintain physical fitness, someone working more than a forty-hour week may struggle with scheduling a traditional exercise regimen. HICT is a great option for people who are busy. The exercise circuit of your choice should promote muscle development by using large muscle groups to create resistance and aerobic intensity. It can be modified for each person’s fitness level, environment and safety. Each of the individual exercises last for 30 seconds with 10 seconds of rest between exercises, making the workout seven minutes. Here is an example of an HICT workout: 1. Jumping Jacks 2. Wall sit 3. Push-ups 4. Abdominal crunches 5. Chair Step-ups 6. Squats 7. Triceps chair dips 8. Plank 9. High knees 10. Lunges 11. Rotate up 12. Side plank. The exercises in HICT should be ordered so that opposing muscle groups alternate between rest and work, for example; an upper body exercise such as push-ups would be followed by a lower body exercise such as squats. Alternating different muscle groups allows sufficient time for the muscles to rest between exercises meaning performance and form are not sacrificed for speed and efficiency. If you struggle to maintain physical fitness because life gets in the way, HICT may be the perfect option for you. After all, it only takes seven minutes to find out. 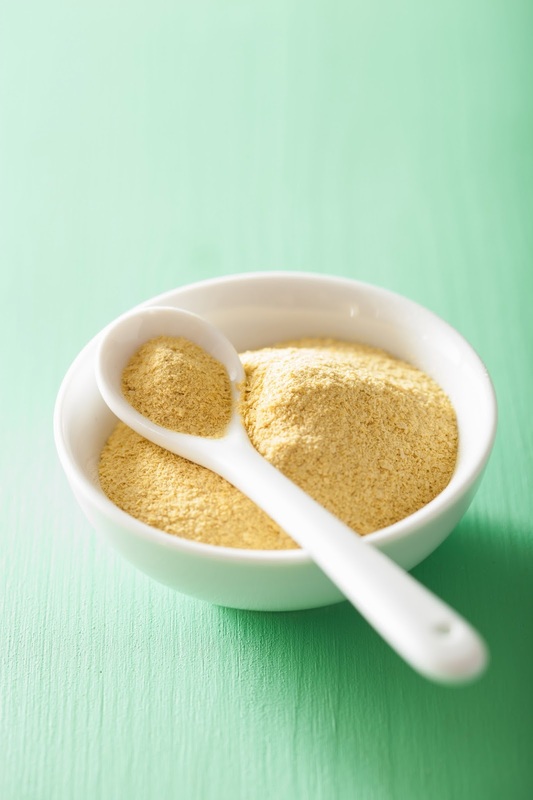 Have you heard of people using nutritional yeast, but aren’t sure what it is or how to use it? Nutritional yeast, Saccharomyces cerevisiae, is a powdered yeast that is packed with vitamins, minerals, protein and fiber. It’s considered a vegetarian supplement because of its B-vitamin content. While it can be purchased in a pill form, the focus is on the versatility of the powder form. With only 45 calories per serving, it packs in six to eight grams of protein and four grams of fiber in only two tablespoons. That’s as much protein as a half a cup of most types of beans and lentils and as much fiber as a half cup of broccoli. One serving also contains about 24 milligrams of magnesium and three milligrams of zinc. That’s 20% of your daily zinc needs. Magnesium is involved in almost 400 different functions including maintaining good heart, metabolic, mental, bone and digestive health. Zinc optimizes the metabolic performance of carbohydrates in the body to use them for fuel. This is important for your blood sugar, overall energy, immune health and weight maintenance. But it’s really the B-vitamin content that makes this food such a powerhouse! One serving contains: 640% of thiamin, 570% of riboflavin, 280% of niacin, 480% of vitamin B6, 60% of folate, 10% of pantheonic acid and 130% of the vitamin B12 our bodies require every day. B-vitamins are important for body functions such as using carbohydrates for energy. Although these amounts sound high, B-vitamins are water-soluble so the body does not store excess nutrients as it does the fat-soluble vitamins A, D, E and K.
One thing to keep in mind if you follow a vegetarian or a vegan diet, despite the high B12 content, nutritional yeast should not be your only source of this vitamin. Talk to your doctor about a supplemental sublingual form of B12 since the body absorbs it more efficiently. How to use it: Sprinkle it on scrambled eggs, kale chips, over salads and sautéed vegetables, baked potatoes and popcorn, or use it like you would parmesan cheese on pasta dishes. Incorporating nutritional yeast can decrease saturated fat and cholesterol intake by swapping out cheese and butter. Some well-known brands of nutritional yeast include: Bragg's, Bob's Red Mill, Red Star, Frontier Naturals/Organics. Are You Weighing Yourself Down? Walking into a gym can be intimidating. If you’re familiar with how to go through a series of strength exercises, targeting specific muscle groups, it can help put you at ease. Once you master the proper movement pattern using weight machines, you can progress to free weights, which engage more of the stabilizing muscles. Follow the how-to instructions on the machines to ensure proper alignment. If the instructions are not clear, ask a trainer or facility employee to further explain the proper range of motion. Be mindful of not letting the weight plates hit at the end of each repetition. The loud sounds can be disruptive to those around you at the gym. Also, focusing on where the weight is helps you focus on a smooth range of motion. This machine mimics a push-up. In a seated position you will push the bar away from you. The seat can be adjusted so the bars are at the proper chest height. If you’re trying to build strength in these muscles, you can start with a low resistance. As you build strength, you can increase the weight. This is a great machine to build strength if you want to progress to pull-ups. In a seated position, arms extended above you grasping the bar, pull the bar down to about shoulder height. Return to the starting position. If you are new to this machine, use an under grasp (palms facing you). This engages the biceps allowing you to engage more muscle into the exercise. You can also use the reverse pec fly or the seated row machine if your gym does not have a lat-pull down machine. 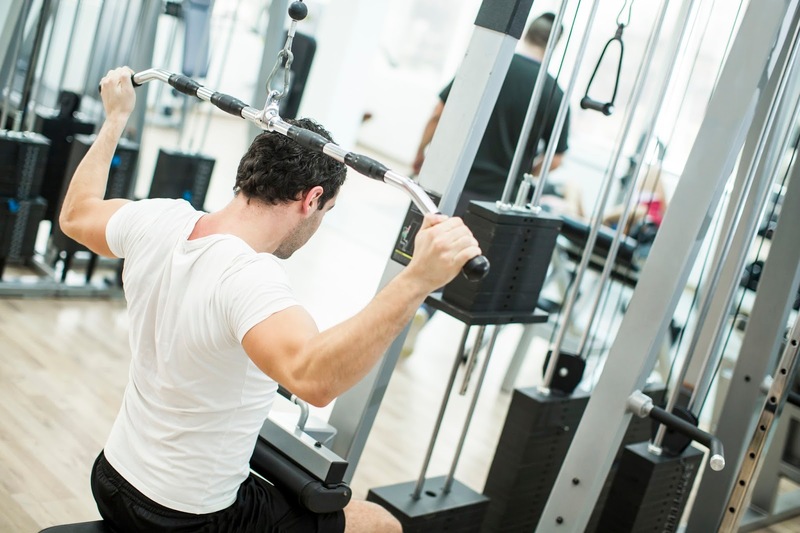 Gyms may vary in whether a standing or seated overhead machine press is available. Position yourself so that, whether standing or sitting, the barbell is at a height where your arms are almost fully extended. Starting position is with the bar at about your chin or nose height. With palms facing forward you push the bar up, extending your arms. Exhale on the extension. Inhale as you lower the bar to the starting position. The leg press is a great way to target all of these muscles if you only have time for a short workout. As you build strength you can move from the machine to body weight squats. In a seated, semi-reclined position you will begin in a squat, knees bent. Feet are squared about shoulder-width apart. Exhale as you push away from the base plate and inhale as you lower back to the starting position. Using the bar, versus dumbbells or free weights, allows you to slowly raise and lower the bar while avoiding a swinging motion. The cable machine can be customized – you can use a straight bar, rope or V-bar depending on your preference and what is available at the gym. In a standing position, hold the bar with arms extended down, palms facing out. Exhale as you lift the cable up and towards your body, like a bicep curl. Inhale and return to the starting position. Building strength with the triceps bar helps with push-ups and pull-ups. Just like the cable biceps bar you can customize your grip by using a straight bar, rope or V-bar attachment. While standing, position the bar so you can hold it with your arms at your side,elbows bent, palms facing out. Exhale as you press down until arms are extended. Inhale, return to the starting position. There is no weight to add or take away from this piece of equipment. Your legs will hang freely as you support yourself with your forearms and your back resting against the backboard. With legs extended, exhale and raise your legs up so your hips are at about a ninety-degree angle. Inhale and return slowly to the starting position. If a hanging leg raise is not available, traditional planks are an excellent alternative. Welcome to Wellness Workdays Blog. 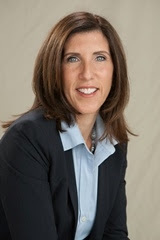 Post your comments and questions here or just check in to see what's happening from time to time. Thanks for your ongoing support!